Fall Forum is an opportunity for youth and adult leaders to attend the statewide training weekend with county and state staff. Planned by a team of youth and adult volunteers from the Wisconsin 4-H Leaders Council with the support of county and state staff; we hope you will promote to youth and adult leaders in your county! 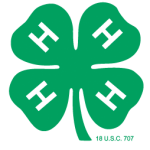 This year at Fall Forum, a select group of 4-H volunteers, pioneers, financial supporters, and staff who made major contributions to the 4-H movement at the local, state and national levels will be inducted into the Wisconsin 4-H Hall of Fame. The induction ceremony will take place during dinner Saturday night. Provide an opportunity for youth and adult volunteers to be involved in the planning and evaluating of statewide programs. When: November 3-5, 2017 (registration begins at 6:00 p.m. Friday, November 3). We will conclude Sunday, November 5, at 10:30 a.m. There will be interactive learning activities Friday night and educational workshops on Saturday. This is a great opportunity for a team of county/state staff, volunteers, and youth to work together and present an interactive workshop for youth and adults as well as staff from throughout Wisconsin. The program kicks off Friday evening with over 20 interactive sessions. Saturday offers more than 25 workshops to choose from. Top off the night with a special celebration where 11 people will be inducted in to the Wisconsin 4-H Hall of Fame. An evening of circle dancing and table games will follow the celebration. Sunday morning brings a high-energy program that you can use at the club or community level. All youth participants are required to identify a chaperon who has completed Youth Protection training when registering. Adult volunteer delegates from a county are expected to serve as chaperones for youth delegates. Teams of adult male and female chaperones will be identified to conduct room check of youth delegates on Friday and Saturday evening. Chaperones are required to submit the Chaperone Expectation Statement. 2017 Fall Forum Handouts Located Below!